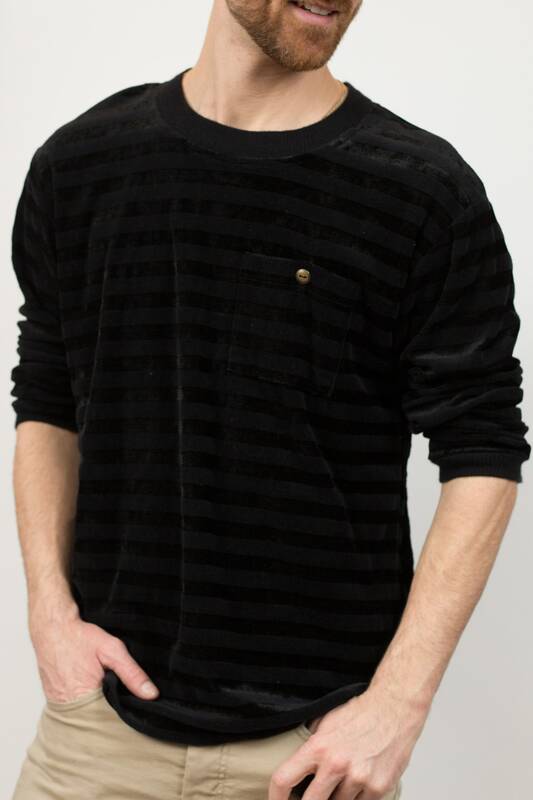 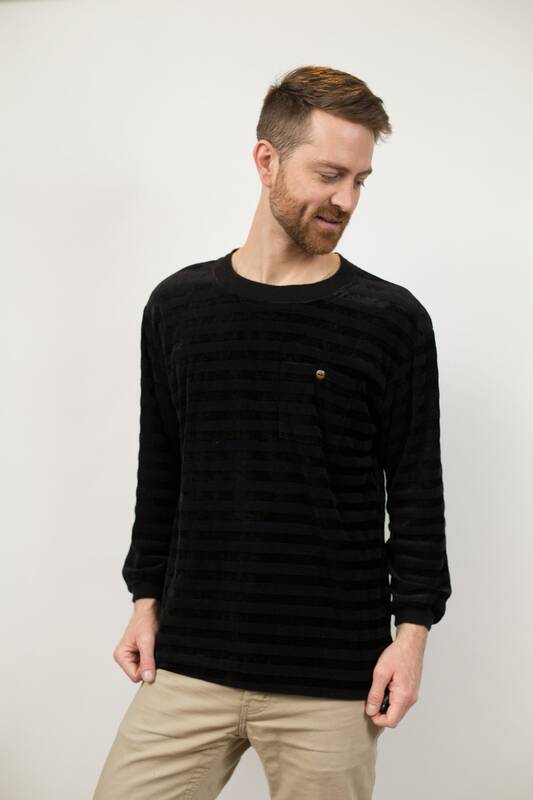 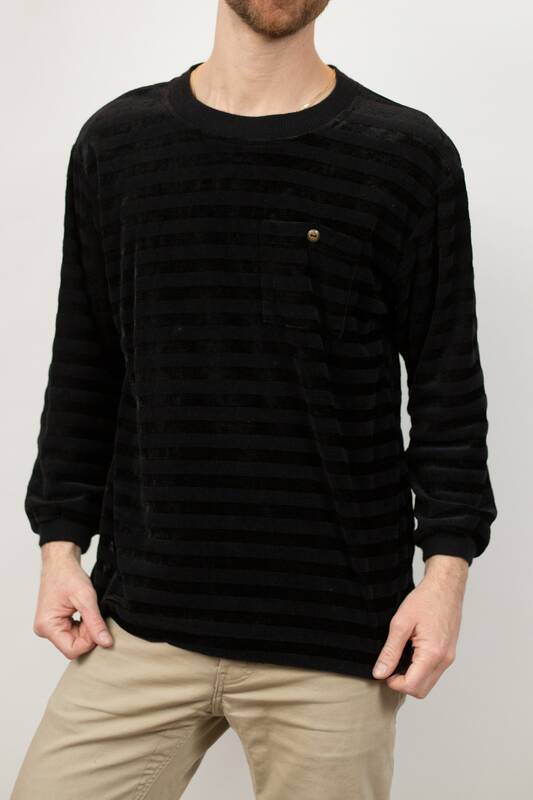 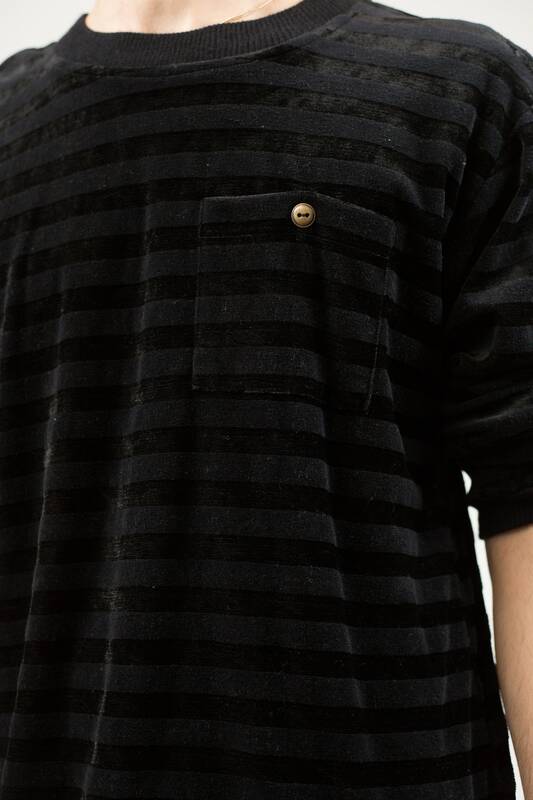 This is a classic vintage striped black velour long sleeved crew neck shirt. 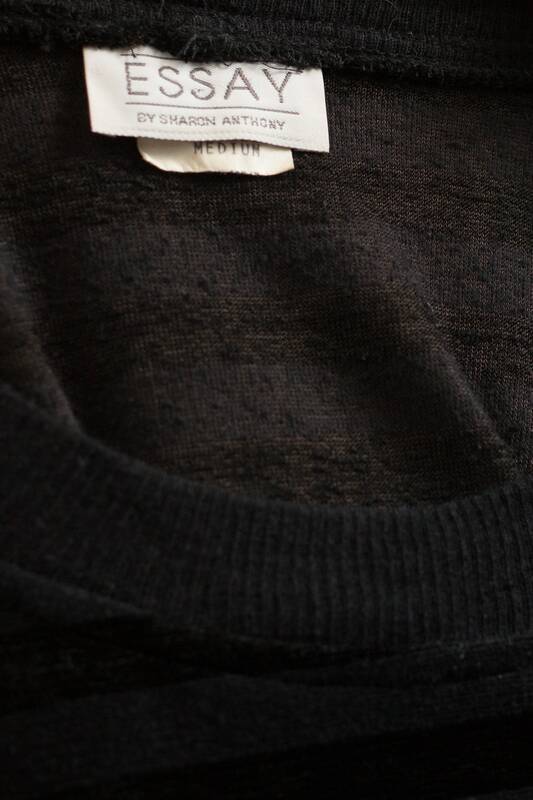 Brand: Essay by Sharon Anthony. 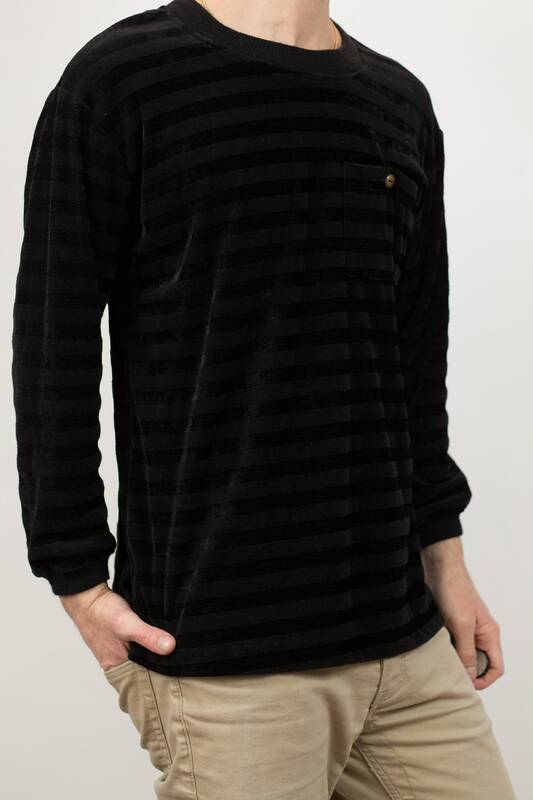 Fits Like: regular medium with bracelet sleeves (cuffs are just above the watch line). 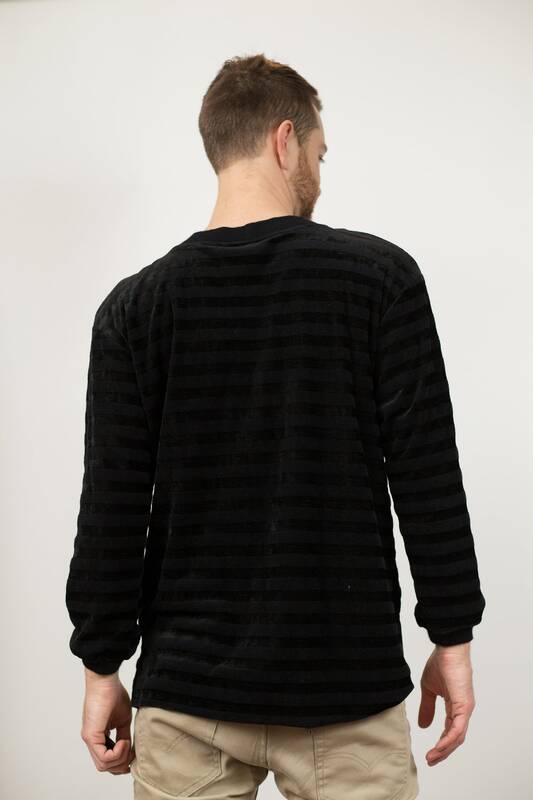 (Model wears medium and is 5”11).